Looking for some great holiday gifts for your preschooler to have fun with and learn at the same time? Look no further. 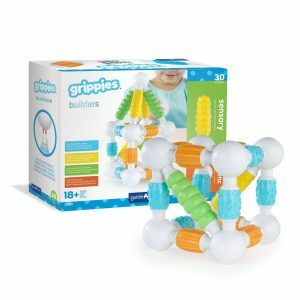 We have found some great STEM toys for 3 year olds! These toys focus on developing counting, building and creative skills at for a young learner. They make the perfect toy for a preschool or at home. Botley is screen-free play that promotes problem solving skills. This 77-piece set comes with a remote programmer, 40 coding cards, and 27 obstacle pieces, so there’s plenty of variation in what you can create and the obstacles you can make Botley tackle! It’s won awards (besides making our own list!) for its innovative way to teach toddlers the basic problem solving principles behind programming. Best part – it’s only $40 on Amazon. 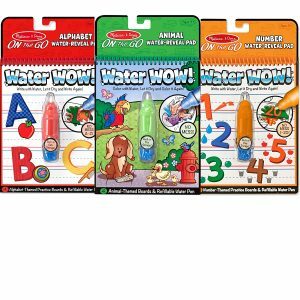 These are the perfect educational blocks for your little one to play with during bath-time. 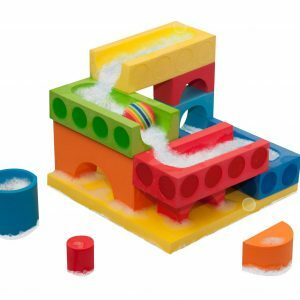 Children can stack these colorful blocks and build water runs, falls, and paths for a ball to go down. 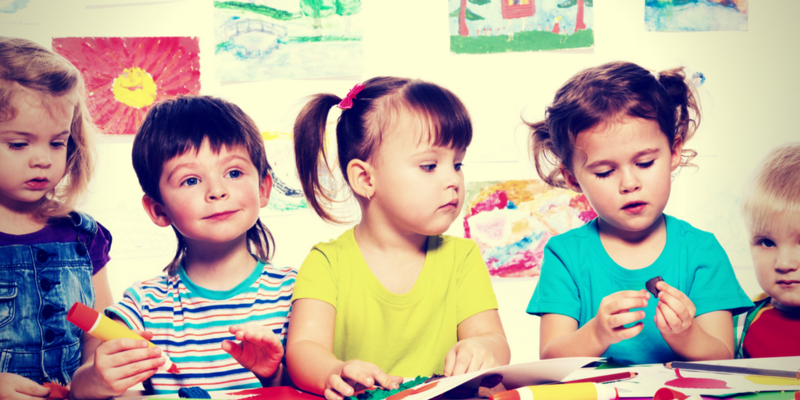 It develops basic STEM skills as your child works hands-on to use their visual and tactile skills. Gears! Gears! Gears! 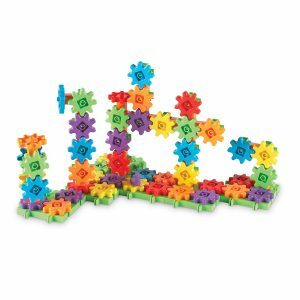 These colorful, spinning gears will build your child’s fine motor skills as they work to fit gears together. This 96-piece set is the winner of four awards and guaranteed to promote early STEM skills. 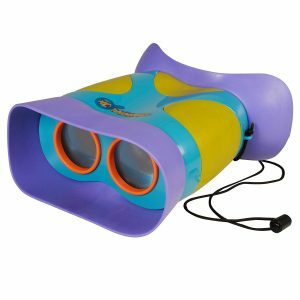 These are plastic and durable binoculars designed for little ones! They are focus free, 2x Magnification and have a strap to go around the neck. Your child will enjoy looking at nature with these. Encourage them to go bird-watching! A great learning opportunity awaits! This is a cool and colorful design studio for your little one, likely appealing to a young girl. It has a “power drill” and plates and bolts that can be made into designs. 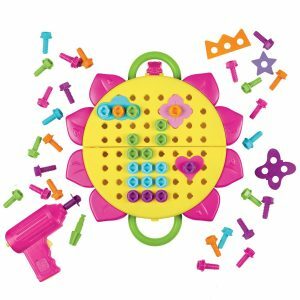 It encourages creativity and grows kids hand-eye coordination, patterning, and problem-solving. These are soft and magnetic rods and balls, perfect for a toddler/preschooler. It is a 30 piece set that is an early introduction to engineering for your little one. They will definitely enjoy putting these together. This is a great toy by LEGO DUPLO that teaches counting up to 10. 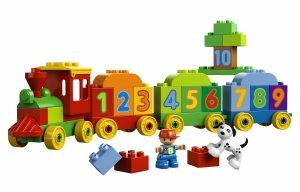 It is fun, educational, and young ones can construct their own train in the correct order. It certainly fits the ‘M’ in STEM. Another great counting game! Kids have to stack these different colored cars in the right order, numbered one to ten. It’s never too early to start getting your child comfortable with handling money as they grow older. They might not understand it right away, but it is good to have this as they grow older. It includes 30 pretend US bills and 40 plastic coins. I know I used to love playing store, so this is a great way to combine play-time and learning. 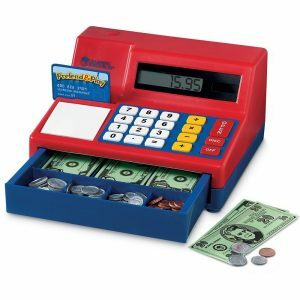 They will love the “cha-ching” sound their register makes when the cash drawer opens! Looking for a gift for another age? 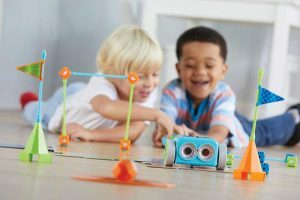 Check out our STEM toy gift guides by age group.